Below are just two examples of countries where conflicts continue to rage on, though we seem not to really care these days. Let us note: Both these countries have very long, rich histories and proud cultures. Through a combination of colonisation, fractured leadership and stresses imposed from outside, their societies have suffered and they have been plunged into conflict over and over again. It’s complex, it’s confusing. We should pay more attention to them.There are many more countries in strife and suffering from disaster (Libya, Somalia, Myanmar, Kashmir, Kenya – and the list goes on). Take Yemen, for example. Many of us might only have a vague idea of exactly where it is. Nor do we particularly want to know, perhaps. It is one of those hot countries somewhere in the Middle East that we know is always under pressure. 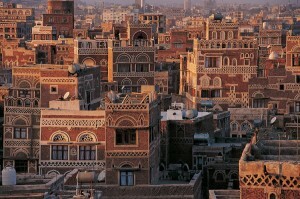 Yet, Yemen has a rich history and culture. In ancient times, it was called Arabia Felix – felix meaning “happy.” It was more fertile than other countries in the region, mountainous and rainy. The capital, Sana’a (now being bombed by the Saudis on a daily basis) is one of the oldest cities in the world (occupied for 2,500 years). Yemen remains very tribal outside the cities. Have you heard of Mocha? Well, al-Mukha, on Yemen’s Red Sea coast, was once the centre of the world’s coffee trade. Yemen claims to be the ancient homeland of the Queen of Sheba (Balqis or Bilqis in Arabic). Aden, in south Yemen, was colonised by the British in the 19th century and because of its position at the tip it was one of the world’s busiest ports. Are the best days gone? In recent decades, Yemen’s history has been increasingly grim and violent, with rebellions, a war of secession in South Yemen and political upheaval. Now the Saudis, since 2015, have been bombing Shi’ite rebels – the Houthis, reportedly because they are afraid of Iran’s growing influence. Saudi Arabia has a long border with Yemen. Various terrorist groups have taken advantage of the instability. 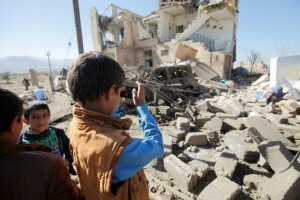 Nearly half of Yemen’s population (around 23 million) is under 15. It’s facing an acute water shortage. More than 7,600 people have been killed and 42,000 injured (most of them civilians) since March 2015. There is a blockade, which means most of the population is in desperate need of aid. Now, a cholera outbreak has killed thousands. UNICEF estimates that more than 460,000 children face severe malnutrition and 3.3 million children and pregnant or lactating women suffer from acute malnutrition. You can read more citizens’ stories here. Then there is South Sudan. It’s the world’s newest country, founded with much fanfare and optimism. On July 9, 2011 it became independent from Sudan following a referendum in which the citizens of the South voted overwhelmingly for independence. It consists of over 60 different major ethnic groups, and the majority of its people follow traditional religions or Christianity (unlike Sudan to the north, which is primarily Arab and Muslim). Back in the 19th century the South Sudanese fought against the Ottoman Turks, who tried to convert them to Islam. Decades of conflict with the north began soon after Sudan’s independence from the British in 1956, finally ending in the Comprehensive Peace Agreement of 2005. Like Yemen, South Sudan has a colonial history. In the 19th century, first Egypt and then Britain invaded the region, but much focus was on the north and the south remained undeveloped. It has an incredibly diverse wildlife – living in swamps, tropical rain forest and savannah – all around the White Nile and its tributaries. It’s a beautiful country. 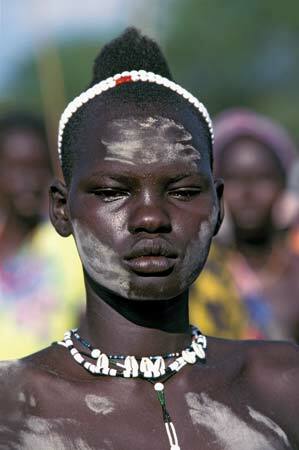 The Dinka people (the largest ethnic group) have a strong culture centering on cattle, the source of wealth and also with religious significance. The Dinkas’ presence in Sudan dates back to 1500 AD. It’s a pastoral life, with men tending cattle and boys the smaller animals, sheep and goats. Song is a very important part of their culture. And now, despite some investment in infrastructure in the few years since its independence – and its oil wealth – South Sudan is plunged into turmoil. 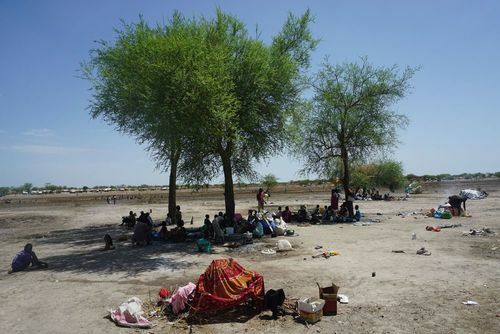 Land disputes, border conflicts and the initial bitter dispute between the President Salva Kiir and his deputy in 2013 have created a terrible situation where human rights abuses have been growing. Since then, civil war has escalated and an estimated three million have fled. Some officials are even talking about the possibility of genocide. The political leaders do not seem to be taking responsibility. Read more here. We consumers of “news” – let’s face it. We’re more interested in Trump’s tweets, the latest series on Netflix, and perhaps fleetingly, a crime story or two. We like to be entertained. There is nothing entertaining about human despair and suffering. We can’t do a thing about it. And where is Burundi, anyway? But we need to at least try to understand. Let’s not groan and roll our eyes – another famine, another war. Let’s learn about these countries and their citizens – their struggles and their achievements. Let’s learn a bit of their history, complex and baffling as it sometimes is. These are our fellow humans, sharing the planet with us. Let’s not turn away from their plight.